Recently, The Better Chip offered to send me some of their products to review. There's a reason I call my husband Mr. Carbohydrate so I eagerly responded yes and was excited to get some samples of their chips to try out. I wanted to do something fun with them, but they sat on my counter looking all flavorful and delicious and we just ate them- rather quickly. I finally decided I should at least nacho-fy the last bag (Nachos are the ultimate after Church food if you ask me) so yesterday I made a big plate with the sweet onion chips. Then I walked into the other room to grab my phone and came back and five of the chips were missing. Then I added the cheese and a little taco meat/beans left over from the other night, some tomatoes, cheese, and cooked them, went in the other room... and a few more were missing. 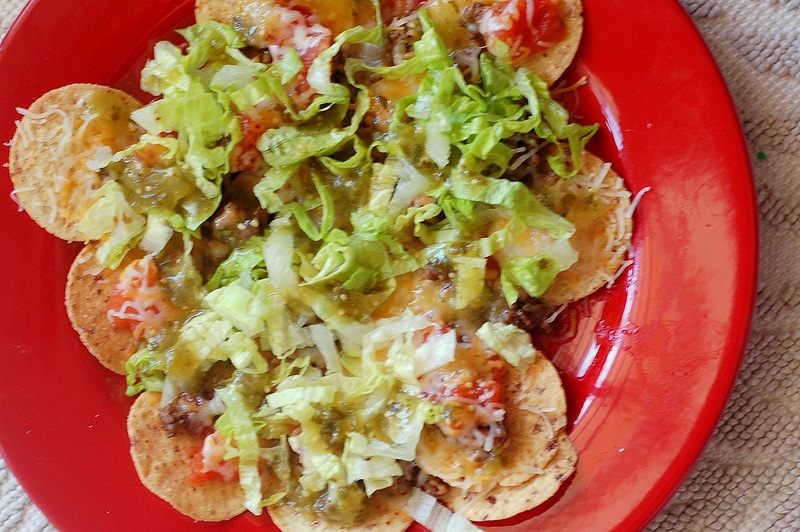 The survivors were topped with some shredded lettuce and green salsa and were quickly devoured. The chips are crunchy, flavorful, and all gone. And that makes me a little sad! These chips really are 'better'- all natural, with 40% fresh ingredients, no preservatives, gluten free, non-GMO, vegan, delicious! And... they taste great (sometimes that's not a given with 'healthy' stuff, you know?) My favorite were the jalapeno (that's why they aren't in the picture above... they were ingested a little too quickly). The red pepper were really flavorful and delicious. The sweet onion are had just the right bite to them (and a subtle cheddar flavor, seriously good!) 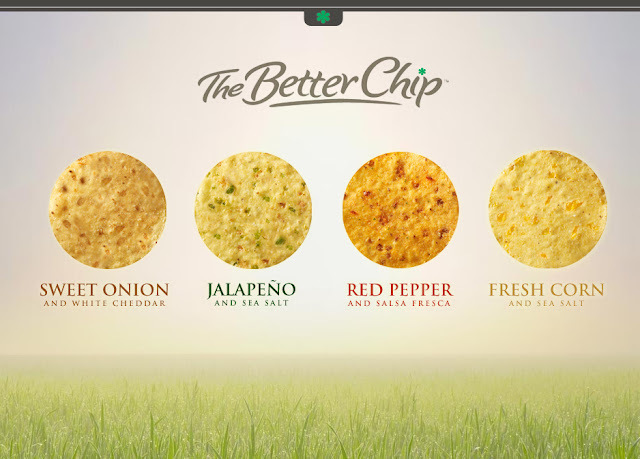 You can learn more about what makes these chips better here. I am always in search of a better chip, because when the chips are down I turn to chips. I'm all about online shopping, except when it comes to clothes, I've got to try those on, experience the feel and fit of the fabrics, and see the colors for myself. I know kind of high maintenance. I've never heard of these but they sound so good. I love online shopping because I never have time for everything and that's one thing that slips. Just came home from the grocers with the Jalapeno chips. They looked good & sounded good from the description on the bag - so I decided to give them a try. Just got home and tried'em -- These are GREAT!! I was searching online to find out who made them, etc. 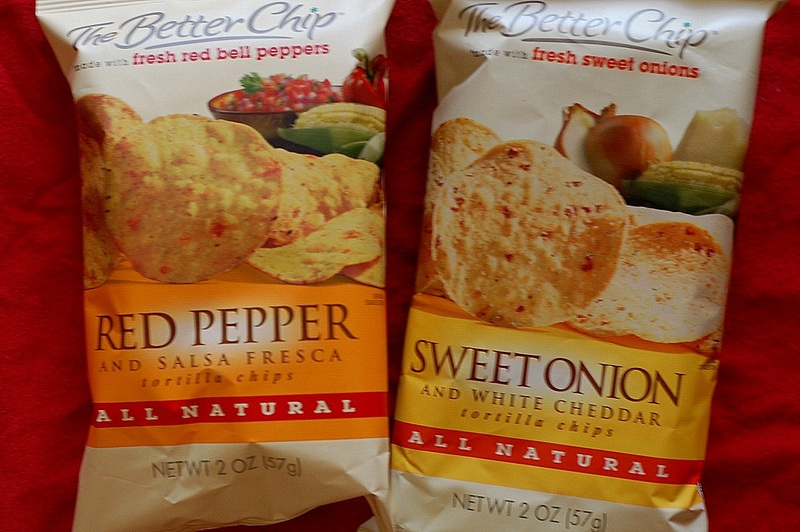 I'll have to try the Red Pepper or Onion next time, but I now have a new Favorite chip! !